It is a feature of Operating System, used to work with Drives, Folders and files. Computer understands things in terms of files only, Computer point of view everything is file. > How end user performs File system operations? If it is Command line operating system with the help of operating system commands. > How to perform automatic File system operations? 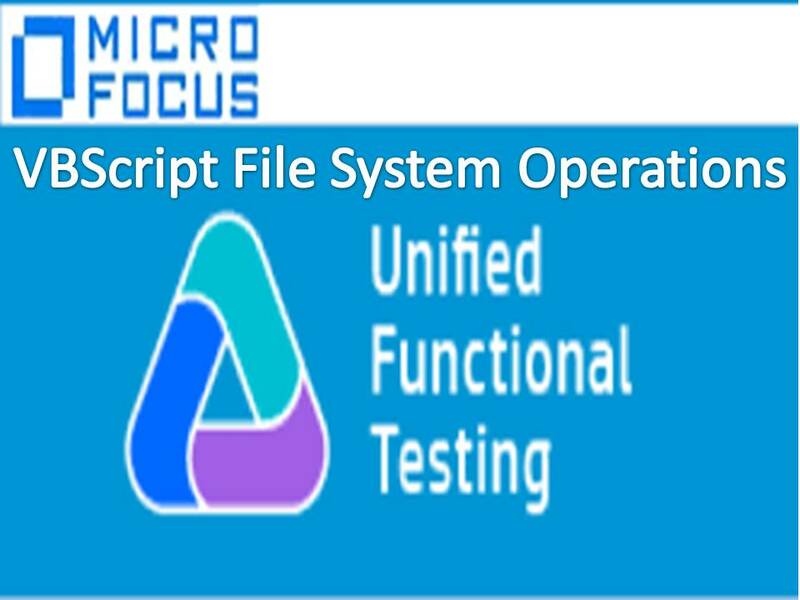 Using VBScript FileSystemObject we can perform automatic File system operations. Syntax for creating Automation object in VBScript? delete other types of files also. > We can’t perform internal operations (Ex: Read, write etc…) on other types of files. > If you want perform operations Excel files then use Excel Application object. > If you want perform operations Word files then use Word Application object. > Using FileSystemObject we can perform High level File system operations. > Using TextStream Object we can perform Text related operations. We have three file modes for Text files. 12) Read data from a text file and perform data driven Testing for Login Functionality.